Dana is an aerial teacher and performer based in Santa Barbara, CA. 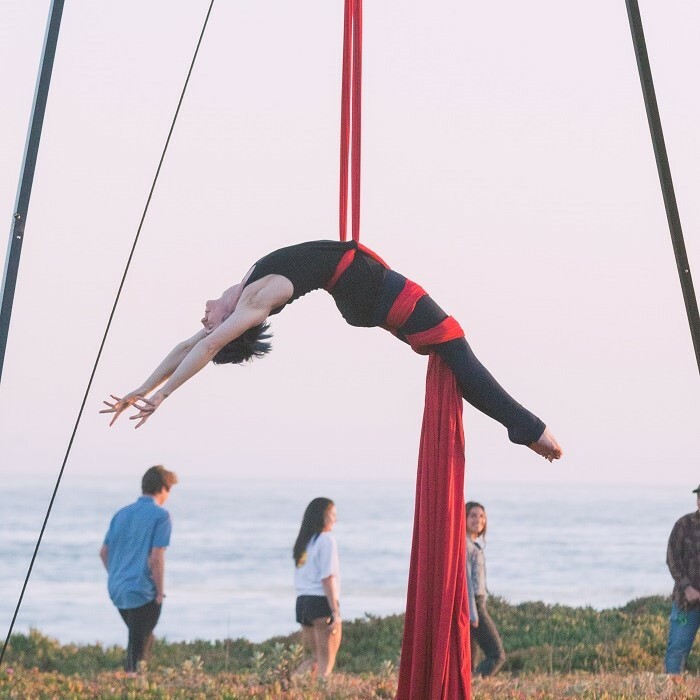 A marine biologist by day, she fell in love with aerial arts as a creative outlet and path to personal empowerment. She has trained rigorously under Cirque du Solei aerialist Autumn Phillips for the past 5 years, and has been a teacher and studio manager at Elevated Dreams (owned by Autumn Phillips) for the past 2 years. In her weekly classes, she focuses on helping her students build solid foundations and the strength to get past roadblocks and hurdles in their aerial training, while at the same time helping them to move creatively and expressively. Her own aerial practice helps her balance the mind and body, as she continues to discover what new things are possible. Dana’s passion is to tell story through movement and to captivate her audience in surprising ways.